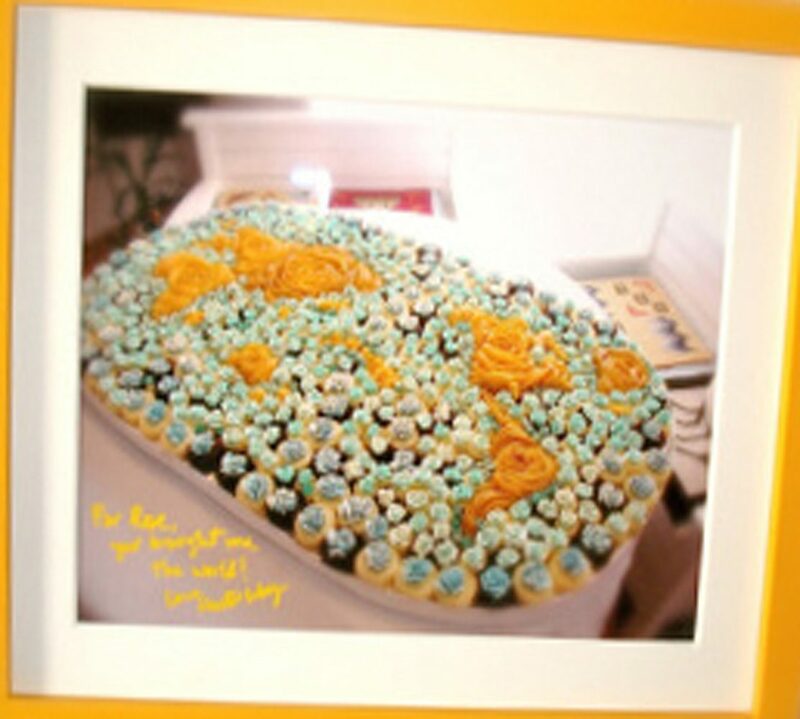 H, love the photo of the sliced cake! How do you pipe the whipped cream? Did you do it directly on the cake? So amazed at the detail, how each line of piping are so closed together, yet they are distinctly standing on their own. K, this is gelatin stabilized whipped cream. Rose tip, basic rose piping without a core, directly on the cake, on a turn table. For a heart shape, I love to start off center, in this case, i started from off top right. 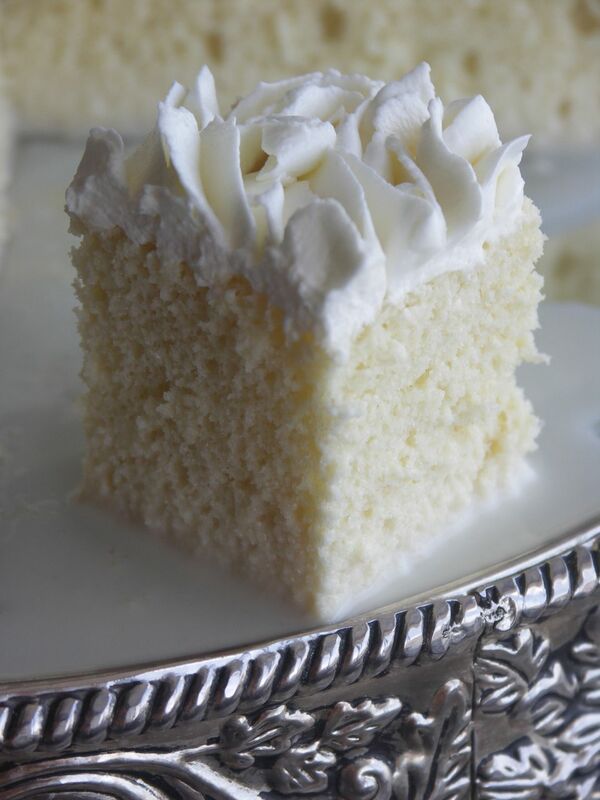 Often, the gelatin stabilized whipped cream becomes spongy when not used immediatelly; and no longer smooth to pipe. 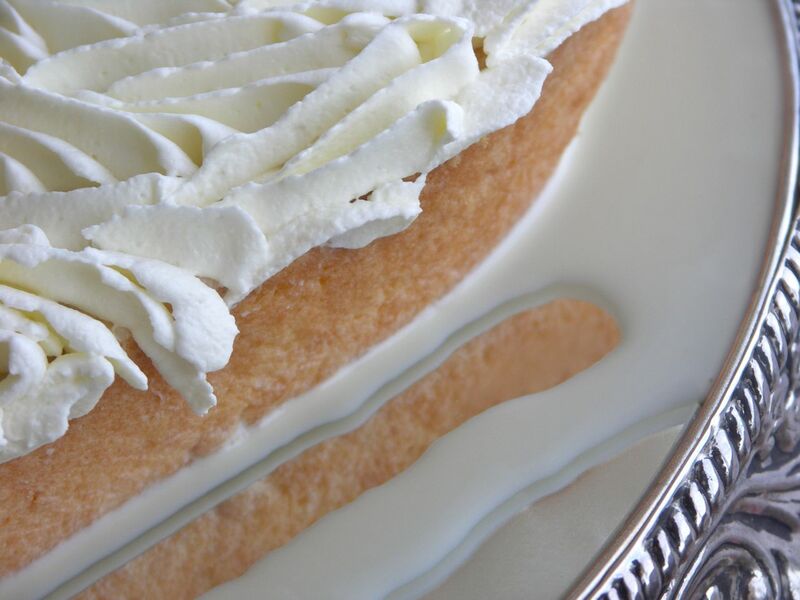 when this happens, use a spatula and fold quite violently and the spongy bubbles becomes smooth and the whipped cream thicker loosing air volume which indeed is heavenly for piping. You don’t have to go thru all this trouble if your cake is served within hours or if you can pipe FAST! I most often than always don’t as I need to bring and share cake with several people thru days and sometimes months! H, that was me who left the comment. Thanks for the tip on smoothing the stabilized whipped cream. 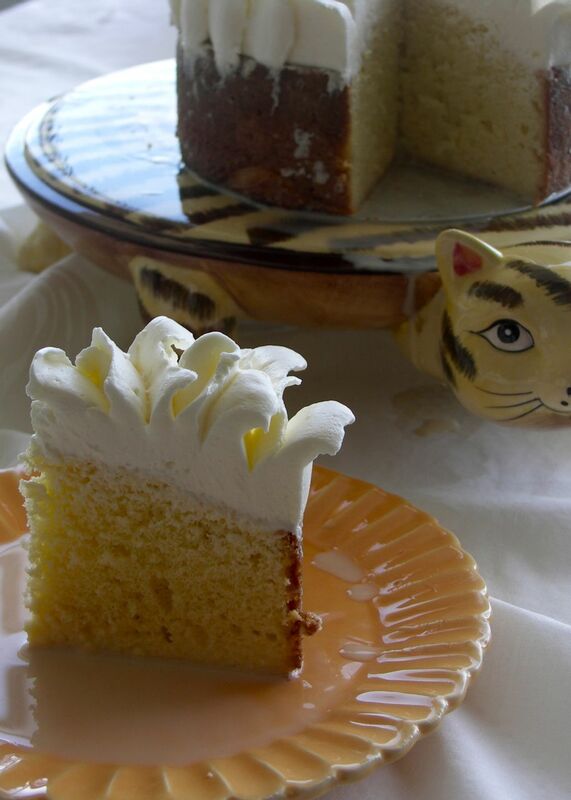 I often make this one, even if the recipe indicated regular whipped cream, as I also ate the cake throughout the week. Checked out the Grand Marnier Rose. That is super exquisite. I love the whole look, from the yellow plate, to the yellow tips on the mousseline. H, I want to be like you when I grow up! Not sure if it’ll ever come true, but I can dream about it :). J, you can be like me already NOW. keep up the good work, and most of all the motivation. M, thx!!!!!! and you know i developed this rose pattern from the Mango Passion Tart from the pie and pastry bible, which YOU encouraged me to bake! Gorgeous, H! Love the photos that show the texture. And thanks so much for the tip about beating the spongy whipped cream, I’m always racing to work with it. J, give it a try, and do report back. i think it is VERY depending on your room temperature and how cold your mixer bowl still remains. gorgeous pipping! It look so sophisticated! Thats a splendid cake decoration….esp the third picture really shows off the texture, mouth feel and the taste of the cake. It is just wow! Thx S. My sister says that I need to improve on food styling. Perhaps all the runny milk on the plate is a point she missed! Who cares…when you have such a gorgeous cake around, everything else is oblivion! Thx, tres leches is new to me and now has become my favorite!